How Can You Tell If You Have a Cavity? Ask a Dentist in Los Angeles! You can always tell when you have a cavity because it hurts, right? Wrong! It’s common to think that you would be able to tell but that’s not always true. In most cases, cavities can’t be felt until they’ve gotten quite large. Unfortunately, at this stage, they require more extensive treatment. So, what can you do? The first recommendation is to see a dentist in Los Angeles for regular checkups because they can use special diagnostic tools that detect cavities as early as possible. In the meantime, keep reading to learn more about what cavities are and how a dentist can use new technology to detect them as soon as possible! The outer layer is called enamel and is actually the hardest substance in the body – even harder than your bones. Unfortunately, that doesn’t make it indestructible! The second layer is called dentin, which is somewhat softer than enamel. Finally, the innermost layer is called pulp. It’s the softest part of the tooth and is where the nerve resides. Much like your bones, your teeth are made of minerals like calcium, phosphate and fluoride. The more mineral content your teeth has, the stronger and more resistant to decay they are. A cavity occurs when a portion of a tooth has lost mineral and has become soft or decayed. That’s why topical fluoride is such a great way to prevent cavities. It adds mineral to the tooth structure, right where it needs to be! How Can You Tell If You Have a Cavity? As mentioned earlier, the best way to know if you have any cavities is to get regular dental exams. Traditionally, dentists only had X-rays to help them diagnose cavities. But with modern dentistry, there are even more accurate tools such as the DIAGNOdent that can identify a cavity in its earliest stages. This device is actually a laser that is placed over each tooth and hovers just above the surface. It’s completely painless and gives a numerical readout so a dentist can see how small or large a cavity is. Some cavities are so small that they can’t even be detected with X-rays, but they can be detected with the DIAGNOdent! Unfortunately, some people wait until they’re in pain to seek out care, at which point it might be necessary to see an emergency dentist in Los Angeles. But with regular visits to a dentist who uses the right tools, chances are good that you won’t find yourself in that situation! 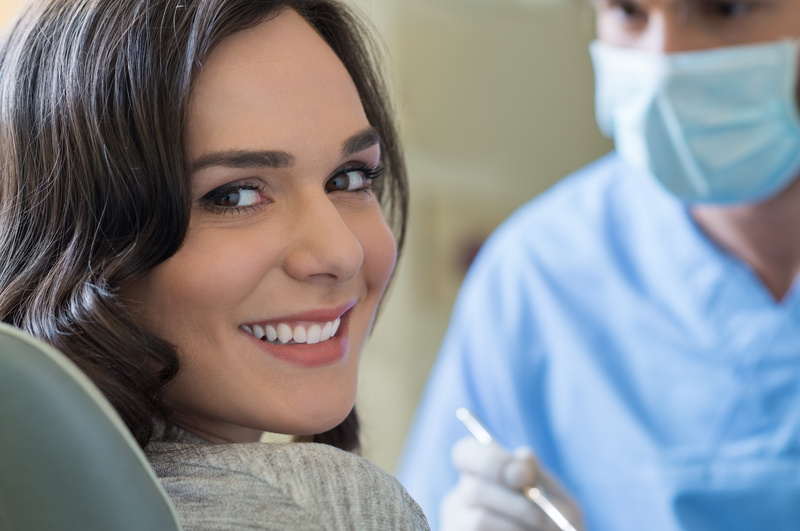 Dr. Les Latner is a general, restorative and cosmetic dentist who makes it a priority to find cavities and other oral health problems as early as possible. He knows that early detection means less dental work for his patients in the long run and has invested in advanced technology and equipment so he can provide that. If you have any questions, he can be reached via his website or at (310) 477-1081.
by: Les Latner at May 18, 2018 . Comments Off on How Can You Tell If You Have a Cavity? Ask a Dentist in Los Angeles!